“so you look at all the reviews and think these are too good to be true, let me reassure you they are true. nic and nick are the best photographers i have ever met. their style of shots is stunning, classy, dramatic.i could go on, just look at the website that says it all. we had just booked kellam island museum for our weeding so the hard work started ,after hours,days more like weeks i came across a photo at kellam island museum. a night photo of the happy couple in a phone box. wow stunning,i knew straight away we had found what we were looking for. so we booked an appointment to go and visit them. as soon as we walked in the studio we were blown away with the quality of the work.and how friendly but professional they are. nic and nick just put you at ease, they know what you want so no hard sell, no up selling. So before you know it the big day is getting close. Nic and nick got in touch and we sorted a date and time for the pre shoot. Yes pre shoot I hear you say, I was a bag of nerves but that didn't last long. it was so much fun, well worth it as both sides get to know each other think. And some brilliant photos. so we knew what we were in for with these two, so good to work with so much fun. so the big day is here. nic and nick came to our hotel started work and put us at ease to the point you even forget they are taking photos. after an hour they left us to get ready and meet us at the venue. nick stated taking photos straight away. Everything felt so natural nothing was pushy or hard work. We hardly noticed them working away at ceremony. It all happens so fast, before you know it your ready to take all the group shoots, you know the staged naff old fashioned ones.. Well not with these two. We have some classy photos now. It was all so relaxed. And while Nic is taking these nick is taking some fabulous sneaky shots of the rest of the guests. And bit by bit all the guests make their way off inside, and it's our turn. Well we were up for anything, we went for it and the photos are stunning. Everything was so relaxed, it just felt right. Fainly we get our grand entrance, and everybody has bubbles, as we couldn't use confetti. Wow absolutely Stunning photos again. The wedding breakfast and speeches came and went so fast, but we have some brilliant photos to allways look back on. And then before you know it it's the fist dance, you just don't notice Nic and nick working away as you dance, but yet again we have more stunning photos. But then the surprise begins I managed to arrange a flash mob with my work colleagues to surprise Nigel. Oh Nic an nick can keep a secret, as I had to worn them about this. It went brilliantly and the photos a out of this world, nic and nick's style is so modern and stylish, I keep saying it but yes stunning. And to top it off we added the photo both to the evening. Everyone was impressed with this a winner all around. But it does not end there, a lovely package cane a couple of weeks later. The USB with all the photos of the day. So much thought was put into this package. Yet again stunning. I can not say it enough it has been a pleasure to work with this wonderful couple nothing is too much. Words can not say enough, but the photos do. "Where do we start with these two? Let’s start at the beginning, back in 2015 one of my closest friend’s got married. Steve and I were looking into getting married, but hadn’t even started the ball rolling, until those pictures! When we looked at the first few of my friend’s wedding, we knew they were the one for the job, somehow they caught my friend and how I know her in just one picture. How do they do that? Capturing someone’s personality in a photo? Well they did and that is what we wanted. After we’d looked through all the photos of her wedding, we messaged Nick and Nicci, if they fancied a little jaunt to New York. I was extremely apprehensive about asking them, because they are family people and they have two little boys who they adore. But we asked and we had a phone call with the both of them. To say they were excited was an understatement, they were over the moon! But more than that they were so keen to help with our ideas and plans to make them the best possible for us as a couple. They don’t just do this as a job, they live and breathe it. Nothing is too small for them to help put you at ease for your one and only ‘Big Day’. We met several times over the years to help create a bond between us, and to be honest, they aren’t just our photographers, they are our friends. You know when you want things to be perfect, but you know things will go wrong on the day, so you always have that in the back of your mind. But Nick and Nicci blow those doubts away when they are so enthusiastic about making your day, the most epic ever! Our family and friends all flew out in June 2018 to watch Steve and I get married in New York. We met up with Nick and Nicci the day before to scope out our route. Having 3355 miles between your home and wedding venue is a bit tricky to scope it out a few weeks before! But nothing was too much trouble for the two of them. They saw opportunities for potential shots for the next day and were so focused and professional at getting things right for us. The day of the wedding started very early, they rocked up to the Bridal suite smart and ready for our long day ahead! So many pictures were captured, but not once did I feel uncomfortable or felt like a camera was being shoved in my face, they were so kind and caring, and just cracked on. They visited Steve’s room to take shots with him, brought him food I’d sent for him, took dresses across the hotel. Nick and Nicci did anything to make our day easy. Nick’s amazing idea, was to get a shot of Steve and I, holding hands around a corner, before we actually met. On our scope out the day before, he saw an opportunity with the Oculus building, having Steve hide in one of the white partitions, while my Father brought me to Steve and placed our hands together. I cried my little heart out. My Father then took me back to the hotel, where Nick and Steve went to another location for the big reveal. As Steve and I wouldn’t have the typical ‘walk down the aisle’ at City Hall, we wanted to have our ‘First look’ alone. Nicci and I walked to a location not far away from City Hall, where Steve and I were to meet. I felt so alone and scared, but Nicci was so comforting to me. She made me feel like a million dollars and calmed my nerves away. Having our moment together was so special and the photos that they got, you cannot describe. They capture all our emotions, our hearts, are just captured in such a wonderful and beautiful moment. That only felt like Steve and I were there. After the ‘First Look’, we then went to get married! By chance we managed to meet up with the Bridal party who were making their way to City Hall by foot. The photos, wow!!! We look like the Beetles from the Abbey Road shoot!! The Ceremony only took about an hour, regards to registering, waiting in line and actually getting married, but the shots we have from there, the candid ones, the ones where we’re just excited to get married, sharing with our nearest and dearest, are just so loving and wonderful. None part of our party felt conscious that Nick and Nicci were there, we were all just relaxed, and the photos show that. After we got married we all trailed to Brooklyn bridge for the usual ‘family poses’. My grandma wasn’t well, and the heat of New York didn’t make it any better. But Nick suggested we take the photos with her in first, so she could get out of the sun. The photos, you can’t tell one bit how fast things went. But no one was made to feel like they were rushed and not made to feel special. Everyone got their shot in, and some more funny ad hoc ones, to make everyone feel part of the day. When all those shots were taken everyone else was left to their own devices while Steve, Nick and Nicci and I went on the Subway to get up to the Flat Iron Building. This is where the real magic happened and Nick and Nicci lead the way! We had booked a limo for the day, where we could roam around New York taking pictures like the celebrities they made us feel like. Nothing was too small for them to do for us, from carrying our extra pair of shoes around, to making sure we had water in the incredible heat! Nick and Nicci were awesome at just making our day easy and stress free. Obviously, with the heat, we flagged at times, but Nick and Nicci kept with us, knowing what photos we wanted to have for years to come. We finally finished shooting at about 4:00PM and then all went back to our rooms to get ready for the evening meal together with our guests. Nick and Nicci were at the venue first, taking pictures of the little details, but somehow or another the venue hadn’t put out our favours and place names. I was in a flap, but Nick and Nicci took the bull by the horns, stopped everyone coming in and started to take the most beautiful photos of our guests outside. No one was any the wiser. And you know when I said about things not going to plan, it really didn’t matter. I am someone who likes control and for that to go wrong, I was so mad. But it didn’t matter. Nick and Nicci’s magic made me lose my anger, and the mistake added to the day. The photos are worth my little tiny bit of stress! There was the usual speeches and toasts at the venue that Nick and Nicci of course captured to a T! The emotion that was running high through the day was captured in every single moment, by a photo. We even had an impromptu dancefloor where Nick and Nicci just got back up again and shot the few minuets we had dancing, epically. We were lucky, because we had Nick and Nicci the following evening too. Where we donned our wedding gear again to get those last final shots to make our wedding larger-than-life! They again carried all our stuff to freshen up and change shoes and we headed to the other side of Brooklyn Bridge to capture the nightfall amongst the New York skyline. WOW! Those shots though. We went to Times Square again, where Nick kindly asked the police if they minded starring in our wedding, which they did. Nothing was too little or too big for Nick and Nicci. After our trip to New York we went round the US on our honeymoon, and every other day we had a little snippet of our day posted to our Facebook. It was amazing that we could have a little preview before we got our USB. But after all that big trip and all that excitement, you know you’re in for a low point. That build up for nearly two years to suddenly then stop, it’s a bit of a come down. But then, you get your little package arriving in the post where all your dreams come true are held in these just stunning, epic, amazing, wonderful photos we have forever. A story told in photos, not a video. Where all your family and friends who weren’t even there can live your fairy tale again. I can’t make you choose Photogenick. But I can tell you how amazing they make every single person they meet, feel. How you don’t just choose a person to take these photos. You choose two crazy people passionate about their craft and their life, who make your day the most wonderful day of your life. If we could do it all again tomorrow, we would. Love the New Mr and Mrs Blackburn xox"
If your in need of a photographer, you are nuts if you don’t give @photogenick_nicknic a shout. Both Nick and Nic are so easy to get on with, make everything feel so effortless and the quality of their work speaks for its self. From the moment we enquired to the last photo of the wedding it was just plain sailing, nothing was too much for them. The guests thought we had our mates shooting the wedding which is exactly how it felt! Thank you nick and nic. Now that all the dust has settled we wanted to let you know how much you added to our day. We honestly felt like it was the most perfect wedding and you both were a key part of that. We love that you captured us, our family and friends looking natural, glamorous and happy. You have a wonderful eye for detail and a talent with lighting and framing, but added to all that you find those special moments where so much is captured in an expression or a gesture. Our wedding photos feel alive with the spirit of the day :) Looking through them with people has brought us so much joy and sparked memories leading to all sorts of conversations about the day. A lot happens on the day that you don't even know about at the time! Sometimes photographers can make guests feel a little self-conscious and inconsequential. We know from the way people reacted to you and spoke about you later that you make each guest feel comfortable and included, and like a vital part of the day. This was exactly the vibe we wanted to create and gestures like offering portraits of our guests went down so well with everyone and were fantastic in supporting that vibe. Nic & Nick were absolutely fantastic from the first day we met them to our wedding day. The pre wedding shoot was great fun, totally relaxed and a great opportunity to find out what worked for us. We had no worries leading up to our wedding and on the day they made taking photos effortless; producing some absolutely stunning and dramatic photos. They definitely exceeded our high expectations and we would highly recommend them. Finally we came across Nick & Nic after seeing some of their amazing photos & fantastic reviews .... we contacted them straight away hoping they were still available for our wedding on the 17/09/16 at sledmere house/barn. I remember speaking to Nic for the first time, she was at the seaside with her kids and was so friendly and down to earth it put us instantly at ease and we arranged to meet up. The day we were supposed to meet their studio flooded :-( ... But that didn't stop them meeting us or dampen their spirits! ... We met at the pub for a drink and hit it off instantly . They talked us through our options and showed us some of their previous shoots ( all amazing !) ... They were not pushy at all and allowed us time to go away and think about what we wanted to do (we didn't need long Ha! We snapped them straight up!). We had a pre-wedding shoot which to be honest was very nerve racking/uncomfortable for us! We didn't know what to expect and at the time it didn't feel like it served a purpose to us... both Nick & Nic were really approachable and easy to talk to, they took the time to listen to what we liked/ disliked and wanted from our wedding photos and you could tell they would go that extra mile to make things perfect humouring every bridezilla control freak moment and re-assuring us. In the run up to the wedding they were really informative & kept in touch in regards to all the processes. The big day!! ... So going back to what we said about the pre-wedding shoot not having a purpose ... How wrong were we? Come the wedding day ... It was a complete differently story... We felt so relaxed and comfortable. Having that shoot was a lot more important than we thought & it allowed us to get to know Nick & Nic and gain a bit of confidence in front of the camera which helped massively on the day. Nick & Nic blended in well on the day, they never felt intrusive which is exactly what you want. They snapped away taking natural shots of us all getting ready and a few staged later. The group photos were done well, causing little disruption yet getting all those photos you want for your album ... They literally captured everything!!! I don't really know where to begin to try and convey how amazing Nick and Nic are. We fell in love with their photographs whilst searching on facebook and contacted them to see if they were free for our wedding on 30/09/17. Luckily for us they were and we travelled to their lovely studio in the Elsecar Heritage Centre to meet them. We knew as soon as we met them that we had found our wedding photographers! Both Nick & Nic are friendly, laid back, and have a way of putting you at ease. They were so enthusiastic and passionate about their work, showing us the different package options without ever being pushy. They understood exactly what we wanted and we felt listened too throughout the meeting. We didn't even need to go away and think about it and signed up with them right there and then. Despite booking them quite far in advance (which I recommend as they are in high demand) Nick & Nic stayed in touch throughout the planning of the wedding. They were always professional yet super friendly and when we were let down by our videographer in the weeks leading up to the wedding they were so helpful and recommended Ben from Beed Studios who we were able to secure (and he was so fab, thanks guys). We were both quite apprehensive about the pre-wedding shoot as neither of us particularly enjoy having our picture taken however Nick & Nic made it such a laugh and by the end we were so much more comfortable and were feeling much happier about the thought of the photos on the day. Come to the wedding day itself. Nick & Nic were just utterly fab. They again brought their down to earth charm and put everyone at ease. Everyone has commented on how lovely they both were and how well they fitted into the day and made everyone relaxed. They managed to arrange group photos with ease and efficiently without ever coming across as bossy. They were also so helpful, running around finding plasters when my mum managed to cut her finger open 20 minutes before the ceremony and making sure button holes were where they should be! When we saw our photographs we were absolutely amazed. They had captured the day perfectly and you could really see the emotion of the day in each image. You could tell that Jonathan and I were relaxed in the photos which was what had made the pre-wedding shoot and rapport with Nick and Nic so important. The photos capture so many little moments of the day and we are so happy to have such a lovely record of our wedding. In a nutshell - Book Photogenick they are amazing! Nic Prescott-White and Nick Prescott-White were amazing throughout our whole experience with them! From beginning to end they offered endless support, advice and guidance. They made us feel at ease and relaxed with their kind, caring, friendly and easy approachable attitude! Their experience and professionalism shone through. The slideshow of photographs from the day that was set up in the evening for all guests to see was truly amazing. Our photographs were online swiftly and we are absolutely delighted with the results! They look amazing! We booked Photogenick for our wedding that was on 03/09/16. I would highly recommend booking Nick & Nic ASAP, as we needed to 14 months before our wedding to avoid disappointment! I emailed them asking for an appointment and they offered one the same day! We visited them both when they were still in their old studio. This was set out with all of their previous work, which was very impressive. Both Nick & Nic were so friendly and professional. We loved how down to earth they were as a couple. I can remember leaving the appointment feeling like we had met someone who we would really get along with and would make us feel special, which was important to us for our wedding day to calm the nerves. They went through every detail on how they would create and preserve those magical moments on our wedding day. Their photos were a mixture of natural shoots but also formal ones, which was perfect for us! The pre-shoot session was great and I would recommend doing one of these to any couple to explore what you want and also get you comfy in what you need to do when you are having photo’s taken. Nick and Nic were amazing at making us feel at ease. We had such a laugh during this shoot, which confirmed further how happy we were at finding such a great couple to take our wedding photos. The wedding day itself went without a hitch in regards to getting the photos we wanted. Even the rain didn’t stop us getting outside for photos! Both Nick & Nic have some fantastic ideas to create amazing images. As a Bride, one in particular when we saw the photos for the first time, just took my breath away at how stunning it made me look! Nick & Nic are so professional and the photo package we paid for was so good in terms of price they were an absolute steal! We would recommend them (and we already have!) to anyone wanting modern images and wanting to work with a couple that are just so lovely! Even our guests commented how nice they were throughout the day. Nick and Nic are amazing photographers who did a fantastic job on both our wedding days. They were extremely professional yet friendly and super fun making everyone feel comfortable. All our guests commented on how super they were. Communication running upto and after the wedding were outstanding not to mention the quality of our photos which are phenomenal and we absolutely love. 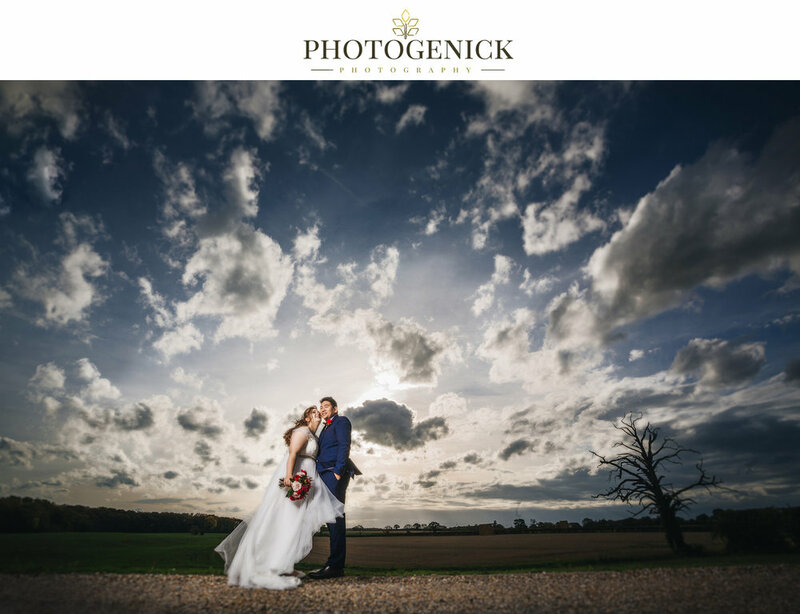 We highly recommend Photogenick to any couple looking for brilliant wedding photographers who truly know how to capture those special moments. Thanks guys, keep up the excellent work! Myself and my now husband Dan booked photogenick for our wedding, which was on 2nd October 2016. From the first time we met them right at the start of the year, we walked out knowing 100% we had made the right choice. They are both so down to earth and normal and we left our first meeting with huge smiles and with that feeling you get when you just know! Our pre-wedding shoot was a great part of our package and gave us a chance to get to know them both a bit more and gave them a chance to get to know the styles of photography we liked. Dan was dreading this as I'm sure a lot of men do, but even he was happy! Nic phoned me about a week before the wedding and went through step by step what would happen on the day and made sure she had everything they needed and that I was happy with everything. I can honestly say that with all the stress of the wedding and all the things we had to arrange and organise, the photography was one of the things we didn't worry about. Nic Prescott-White and Nick Prescott-White are so organised and we felt as though they were in complete control and their confidence and kindness put us at complete ease. On the day of the wedding they were just amazing. They were with us from about 10am to about 10pm as we had a photobooth in the evening too. Loads of our friends and family have said to us how nice they both were and they captured our day perfectly. From the bottom of our hearts, thank you both so much for everything. All the time we spent together was a joy from start to finish and the day was perfect. It felt like you were old friends. You have given us a lifetime of memories and Nick, keep telling your cheesy jokes! Can’t even put into words how ace Nick & Nic are; so professional and so down to earth! A fab team together with such an eye for detail.. Instantly made us feel like we’d known them forever, from the moment we met them they made us feel super relaxed and that shows in our wedding photos and engagement shoot. Really couldn’t recommend them enough! Thank you guys for being so amazing to us and our guests, your photos are phenomenal! You’ve not made it easy to narrow down favourites!! "Oh my goodness, I cannot recommend Nick & Nic @ Photogenick Photography highly enough, the photos speak for themselves but what a duo, they truly are amazing! I can't thank them enough, they captured our day beautifully and perfectly. Thank you both so very much" . Hannah & Rohan. Me and my husband Paul would like to thank Nic and Nick for the wonderful job they did of our wedding photos and at our wedding back in August. Really can not recommend these two enough. From first looking around at wedding photographers we knew from the style of their pics that they were who we wanted to shoot our wedding. After our first meeting with them we were really happy to find them to be such a lovely and fun couple so it was definitely a no-brainer to get Nick & Nic booked in. We then had a pre wedding shoot a few weeks before our wedding where they were both very accommodating to our wish of bringing our naughty dalmatian along to the shoot. On the wedding day itself they did a fabulous job of putting us and our guests at ease with the camera. Our guests loved them and are all really impressed with the photos. We absolutely love our wedding photo's which captured our special day perfectly. Thank you for such a wonderful job. Alex and I were immediately drawn to the unique style of wedding photography offered by Nick and Nic at Photogenick Photography and were thrilled that they were available to photograph our wedding. Having Nick and Nic photographing our wedding was a genuine pleasure and many of our guests commented on their innate ability to put everyone at their ease and create a great enthusiasm for the photos, even for the camera shy groom! Their commitment to producing an extremely high level service was outstanding and the technical abilities they displayed were excellent. Not only did Nick and Nic photograph our wedding from bridal prep to first dance they also provided the opportunity for a pre-wedding shoot, which was a great way for us all to get to know each other and from which we got some beautiful non-wedding related photos too. I have absolutely no hesitancy in recommending Photogenick Photography. 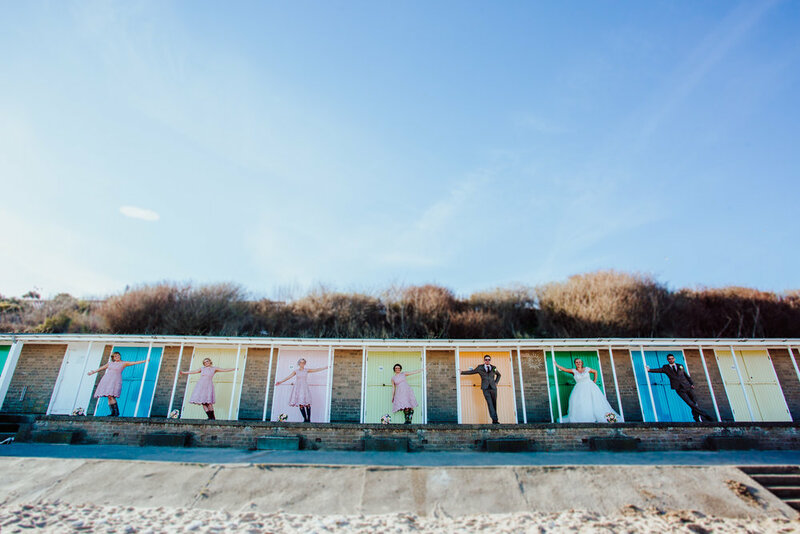 Their skills beautifully captured our wedding day and the artful photo album and wedding print they produced for us means we can joyfully relive the day whenever it takes our fancy. Nick & Nic were absolutely the best choice in photography that we could have made for our special day. We wanted something modern with a traditional twist & that's exactly what we got. We were blown away by the hundreds of pictures we received, capturing all the details & atmosphere of our day - they told the story perfectly. Nick & Nic were fantastic to work with - they had so many creative ideas to capture the exact moment & they blended right in with all of our family and friends. Thank you to you both once again for giving us timeless memories of our wedding. We first met Nick and Nic when they photographed our friends wedding. We were so impressed with their quirky style, relaxed attitude and good old Yorkshire sense of humour, that when it came to booking our wedding photographer, we did not hesitate to give them a call. They put us at ease from the first picture at the pre-wedding shoot right through to the very last picture on our wedding day. We could not recommend them highly enough. The pictures are beyond exquisite . We were lucky to have them as part of our special day! We were absolutely blown away with our wedding photo’s and couldn’t have asked for anything more. We especially love the way you have captured all the tiny details that you forget about after the day and you have provided us with memories that we will treasure forever. On the day, we felt so comfortable with you taking our pictures and even our guests said how professional and polite you were. Thank you so much, you both really made our day special. On behalf of my Husband and I, we would like to thank Nick and Nicci. We cannot recommend them enough. Our Wedding Photographs are absolutely amazing. You captured our day perfectly and gave us beautiful memories to last a lifetime. You made the whole day an enjoyable experience and put us totally at ease on what was the best day of our lives. Me and mark would just like to say a big huge massive thankyou to you both, you are fantastic. our wedding pictures are just brilliant you are a brilliant couple made us all feel at ease definatly booking a family photo shoot thanks again x x would just like to say if anyone needs a photographer these are the ones to go with !! "Me And Sean have received our wedding photos today done by Nick and Nic @ Photogenick they are absolutely amazing I can not recommend them enough, they put so much effort in to every single photo they took. We even received a text from them the day before telling us how much they were looking forward to our Big Day. Nick & Nic worked all day in 30 degree weather and was still smiling at 10pm our children loved them and all our guests commented on how good they were. Me and Sean Blaney would just like to say a massive Thank you and if anyone needs a photographer for anything we can guarantee that you will be happy you picked Photogenick. We are." Nothing better than photographers that make you feel at ease on your special day and that's what Nicci and Nick did. Fabulous couple, they made our wedding day special and most of all made us feel special. Our wedding photos are amazing ...fun,sophisticated,full of ideas and beautiful moments! Thank u and anyone wanting a wedding photographer u will not be disappointed in Nicci and Nick at Photogenick. Nick and Nic at Photogenick are incredible. Not only are the photos brilliant, they're also both incredibly funny and truly lovely people and they brought a particular positive energy to the entire day. We couldn't have had made a better choice. Nick and Nic from Photogenick were awesome. They're lovely people and excellent at what they do - we were really happy to have you guys there! Just to say a huge thank you for all the wonderful photographs you took. We absolutely adore them and will cherish them forever, thank you. You really are a very talented team!! We have the most fantastic pics of our wedding, they captured the day perfectly! Pete and I are not fans of having photos taken but Nick & Nic managed to make the whole experience enjoyable! They were fantastic at organising group shots and we had so many of our guests commenting on how fantastic and fun they were! We would recommend Nick with confidence! We were so pleased with the photos from our wedding day. We will cherish them for years! Nick & Nic were brilliant and a great help in guiding us through our day. Their laid back, jokey personality contributed to the relaxed atmosphere and our guests loved them too!! I would wholeheartedly recommend Photogenick for any photography, and have been suggesting them to friends for their weddings. Thanks Nick & Nic!!! Book these guys for your wedding pics you will not regret it. They are fantastic an gets them extra special shots that makes everything outstanding ! Thanks very much for the time you have spent creating amazing wedding pics from such cherished memories! Been a pleasure. Thanks from us both, Suzanne and Garry!!! 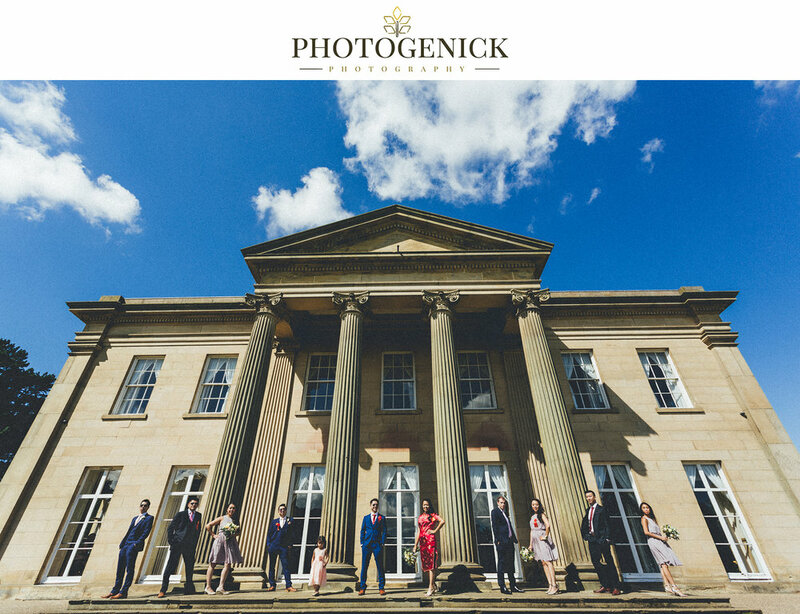 Just to note that photogenick photography is a fully insured photographic company and Nick & Nic are full time photographers, giving you piece of mind that when you book with us, you are receiving quality as well as an experience you won't forget.